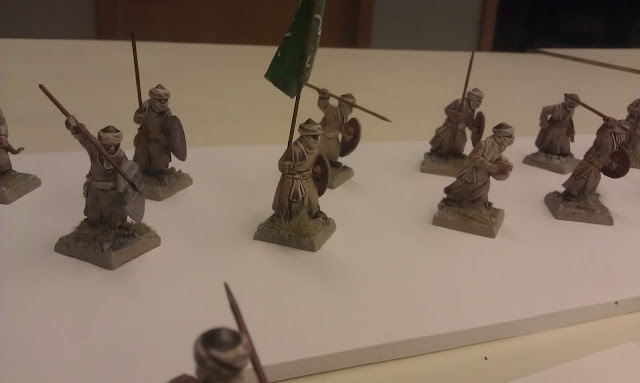 Here is core of my berber army (the berber units are to the front, behind them are my Saxons...) in my case. I will shoot some better shots this weekend and do a proper Army Build Blog. And this was as exciting to do as it looks. Assembly line (with good music) worked out pretty well... I went with a dip and detail/highlight approach for this army (first time trying it). 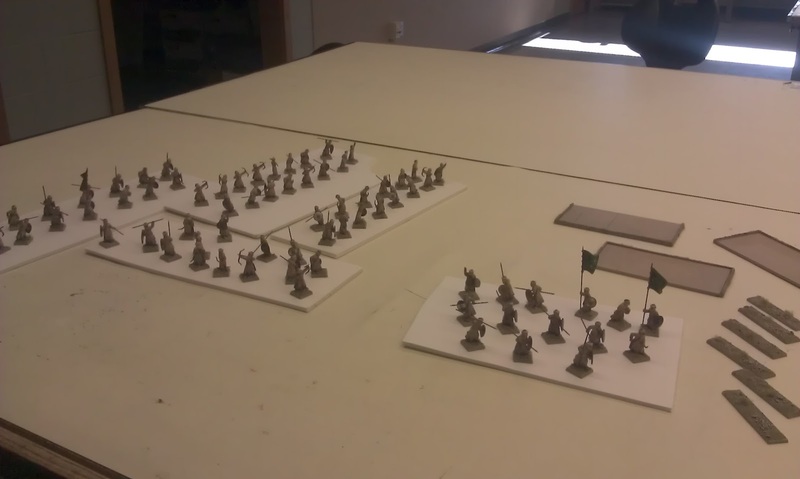 Not as good IMHO as my normal, but very acceptable for tabletop. 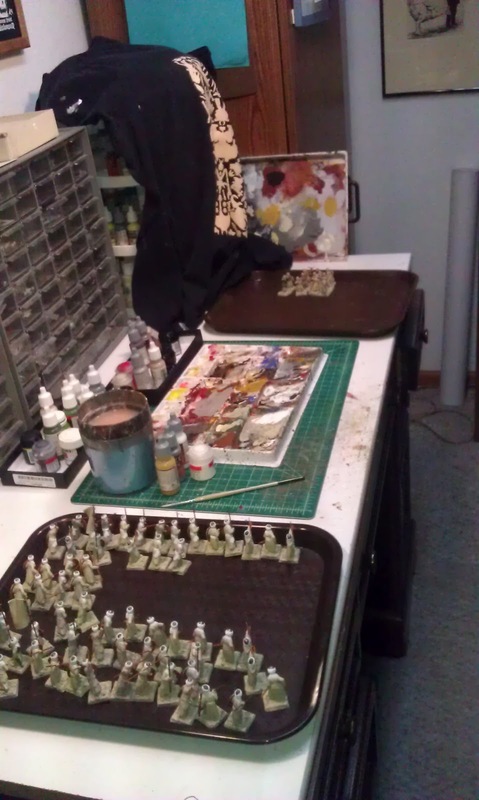 I use some old cafeteria trays to move figures for painting, etc. ...Gotta put boots on the ground. In the que at school to use the spray booth. Varnish drying.... I will still go back and highlight these a bit more before they went into the case. I need more models, a phone call to Jerrod is probably in order. Fireforge better ship fast. I need reinforcements. 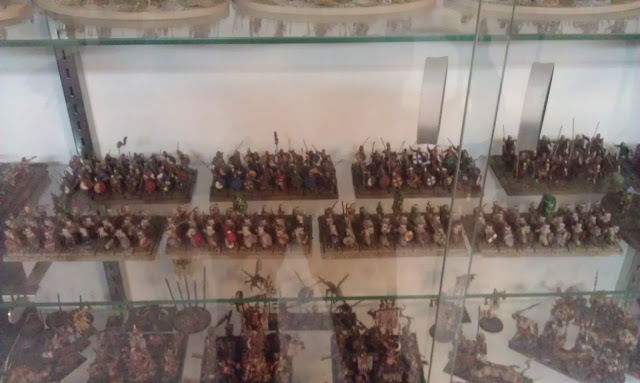 Saxons in the background eh, Hey, I need to take pictures of my stuff backed by 3000 pts of Romans.....lol. Least now I know they are 8 wide. I can adjust. Nah, all good natured fun. This is great stuff. I know that I could not bring myself to do what you are doing with these models. I would find saracens and berbers very hard to do.